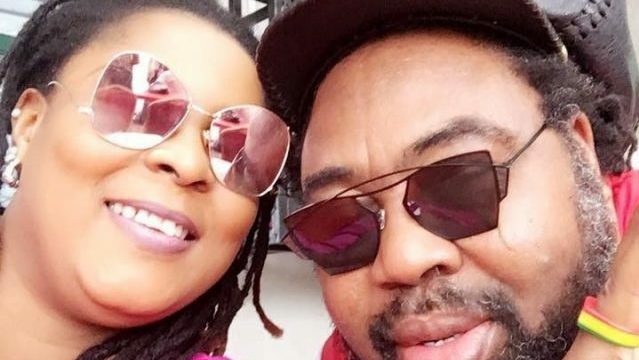 Efemena Okedi, the wife of late Raggae artiste, Chux Ohai, aka Ras Kimono, is dead. The death of the 42-year-old is coming three weeks after her husband was buried. Ras Kimono had slumped at the Murtala Muhammed International Airport on Saturday, June 9, 2018, and died the following day at a Lagos hospital. The Under Pressure crooner was aged 60. PUNCH Metro gathered that Okedi attended a family function on Saturday. She reportedly complained of a chest pain on Sunday and was rushed to the Lagos State University Teaching Hospital, Ikeja, where she died. Okedi, who was said to be the third wife of the late music legend, was also his manager and a member of his band during his lifetime. Ras Kimono’s brother-in-law, Theophilus Ehizibue, confirmed the incident. He noted that she died from a possible heart attack. He said, “She died this morning (Sunday) around 5.30am at the Lagos State University Teaching Hospital. She was not sick and never complained of any pain prior to that time. We suspect it was a heart attack. It may also have something to do with the death of her husband because they were very close. “She was at my birthday on Saturday, which we celebrated at the Eleguishi Bar Beach. Ehizibue, who was the vice chairman of Ras Kimono’s burial committee, said the death was a big blow to the family which had yet to recover from her husband’s death. A check on the deceased’s Instagram page showed her last post on June 24 was a picture of her with her husband. “It’s two weeks today that you passed; feels like yesterday. Rest on my lion, missing you,” she wrote. The condolences and cheering messages to Okedi turned to ‘RIP’ as the news broke that she was also dead. “Rest on you both, God knows best you both are in a better place now,” one of her followers, iamzinnybabe, wrote.